Wash Your Hands, Please. - A Rose Is A Rose Is A Rose! October 15 is Blog Action Day, a day when thousands of bloggers from over 133 countries are blogging about one issue, WATER. And October 15 is Global Handwashing Day. The value of water… well, we all know it…it’s our life. Among other things, water also contributes to health, … through hygiene. Water- and sanitation-related disease, despite being preventable, remains one of the most significant child health problems worldwide. Unsafe water and lack of basic sanitation cause 80% of diseases and kill more people every year than all forms of violence, including war. Children are especially vulnerable, as their bodies aren’t strong enough to fight diarrhea, dysentery and other illnesses. 90% of the 42,000 deaths that occur every week from unsafe water and unhygienic living conditions are to children under five years old. Many of these diseases are preventable. The UN predicts that one tenth of the global disease burden can be prevented simply by improving water supply and sanitation. It is also true that without water there is no hygiene. Research shows that the less readily available water is, the less likely that good hygiene will be practised in households. And hand washing would be a very uncommon practice. Studies show that, 80 percent of infections are transmitted by direct and indirect contact, thus, hand washing is the most important thing you can do to protect yourself! And others! 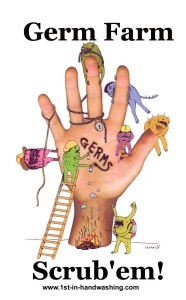 Every hand you shake, every hand rail you touch, every door knob, every light switch, every counter top, every dog you pet…simply everything you touch can place dangerous germs on your hands. We all can help in the prevention of disease by promoting the importance of hand washing! It is extremely important to wash your hands. After using the washroom at home or at any public place. Before as well as after eating food. After visiting a patient at the hospital. Before and after one starts cooking food, especially meat, fish and poultry. After changing a baby’s diaper. After touching pets or cleaning their feces. Before touching young infants and children. Before and after touching injured areas and changing the dressing of a wounded person. After collecting and throwing out garbage. After sneezing, coughing and blowing your nose. After cleaning around the house. Hygiene is probably more necessary today than it has ever been!! So, like it or not, but PLEASE, Wash Your Hands!! So this Blog Action Day, take a deep drink of precious water and join a few thousand bloggers in taking action in spreading awareness and discussing the issues. After that, “Keep the discussion going,” says Change.org’s Tchijov. Working together, you might help make a difference. PS : Part of it is a Re-Post! Water is indeed one of the most precious resources available to us. Life sustaining, in so many ways! And yes, washing hands is so very important! Had no idea that today was Blog action day! Yeah, it’s a wonderful platform to spread awareness and raise issues!! Glad to be a part of it! @ Smitha : Very true! Came to know about it on FB. You can participate now!! A very important and pertinent matter and enlightening post. Good work. Talking about usage and wastage of water- Once during my travel I met a Language student in Düsseldorf , Germany. She was from Siberia. I got engaged in quite a good conversation with her. And she touched on the subject of water in Siberia.She told me that in her part of Siberia water was so abundant that they virtually leave the tap running in the kitchen sink. I was in fact quite furious and wondered why they do that crime. Well we have plenty was her reply. But will the plenty be replenished for ever was what I did not ask . @ Anil : Thank you Anil. OMG! That’s atrocious! Never heard of anybody wasting anything like that!! …and that too water!!?? 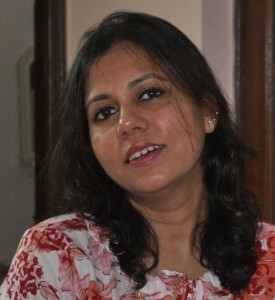 Shilpa: A very well researched and informative. Very true that hand washing is the single most important yet most frequently ignored/forgotten aspect of daily hygiene. I second and third what everyone has said.. very informative post!! As usual a very interesting post. I for one have the habit of washing my hands at the smallest excuse,hence I would support hand washing campaign. Very informative Shilpa! And great research on germs list! True, a lot of diseases spread because of these unknown germs! Water, water everywhere (3/4 of earth is water) and not a drop to drink! Better hygiene definitely keeps the diseases and infections at bay. Thanks for the facts & figures. Great initiative, of spreading the word around. Simply love your informative posts!! @ writerzblock : Thks Pal! @ The Holy Lama : Deep in thought!! ? ?